Most people think that their blood pressure won’t affect their limited time of peace that we call a holiday. They plan their trips unaffected by the risks and think everything will be ok. They are wrong. 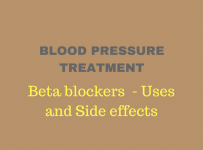 Having a high blood pressure means that there always be risks in most things you do. This should not get in the way of your travels though, because thankfully, with careful and correct planning all the risks can be eliminated. With these next following tips, you should be able to travel with a clear head! As a disclaimer though, every case of hypertension is different, so these should not be considered as tips that are set in stone! Otherwise known as hypertension, it is diagnosed when your blood pressure is over 140/90 for a certain amount of time per average. Everyone’s blood pressure can rise a bit during the day, but unless it’s not a sustained period, then you have nothing to worry about. 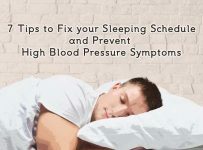 There are no symptoms caused by an elevated BP, so unless it is checked on regularly, it cannot be traced. This is why it is urged by your GP to do regular check-ups to prevent any unnecessary risks. If your blood pressure is well controlled and you are deemed fit to travel by plane for long distances, then it is urged that you take your medication with you. Since you will most likely be taking them on a daily basis, you should make sure that you have enough to last for the entire trip! In the unfortunate case that you don’t, have no fear. Since a short break for a few days won’t do any harm, be sure to get back on it as soon as you get back from your travels. Traveling to a different time zone is something that you should be taking into account if you need to adjust your schedule so you can keep the cycle of medication going to the full extent. Maybe taking a mental note of the time difference or setting the alarm will help you remember taking your medicine when the time is correct. Does my Blood Pressure Limit Me from Taking Part in all the Activities? For the most part, no! If you take your medication correctly, then you should be able to take part in all activities! If there is something you should avoid though is stocking up on that adrenaline or sudden changes in pressure, so steer away from extreme sports, and you should be good to go! For more details, discuss with your GP the nature of the activities you will be involved in during your travels, and you can have a more educated thought on the matter. You should always consult your doctor and inform your insurance company before you go. You can always bring a blood pressure monitor with you since they have become easy to acquire. Sugar and sodium are heavily related to blood pressure levels, so watching out for both of them is a big necessity. Airplane and hotel foods though tend to be heavy on both of them, so you have to watch what you eat. Bringing packed food from your home, or staying in a place with a kitchen and refrigerator so you can prepare your meals helps out a lot. If none of those options are available, eat as many fruit and vegetables as possible, since most services will offer them in their dietary plans and they are pretty safe options. If you are traveling to a place where healthcare is not easily accessible, or lackluster, or maybe even not covered by your insurance company, then consider buying travel insurance so you can have your head safe. If you want to avoid a small heart-related issue causing you immense economic damage, then having a safety net is the best solution. Be sure to mention about your condition to the insurance company though. Otherwise, it is unlikely they will send any money to cover your bills. Nevertheless, better safe than sorry. That was it! 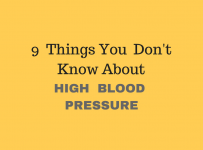 I hope you found this article helpful, as the topic of blood pressure is always a tricky one. If you plan accordingly though and you make careful and thoroughly thought-out decisions when it comes to the risks associated with traveling, then I’m confident that everything will be alright. All that’s left now is to enjoy that trip of yours and make the absolute best of it. Life is too small for you to have it ruined by a simple hypertension!